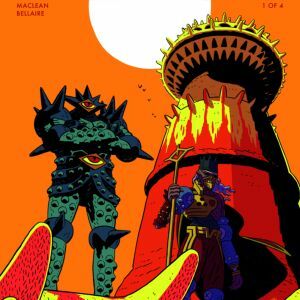 Critically acclaimed cartoonist Andrew MacLean (ApocalyptiGirl) will launch a new story arc in his ongoing swords-and-sorcery-but-mostly-swords quarterly series HEAD LOPPER this March. 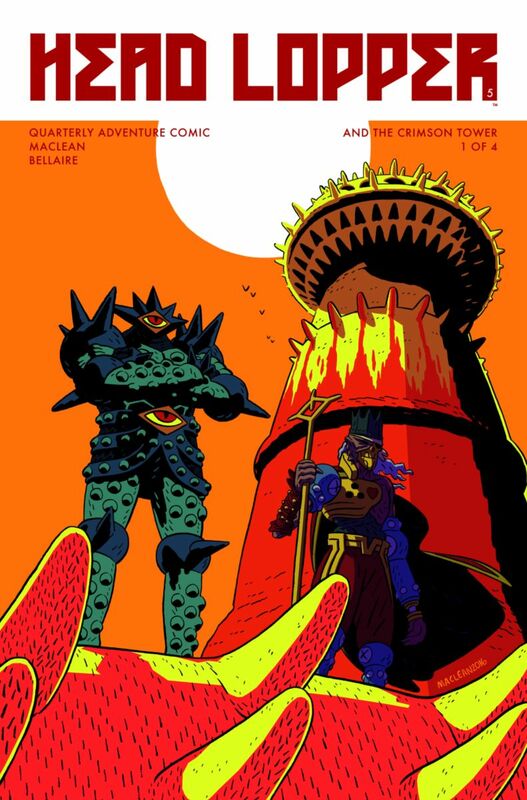 In HEAD LOPPER #5, a daring new adventure awaits, looming like the Crimson Tower, home of Ulrich the Twice Damned, sworn enemy of Zhaania Kota Ka. 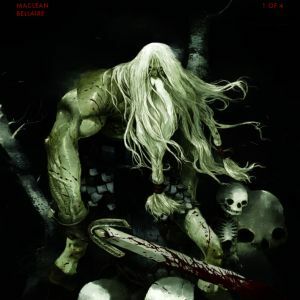 With old friends and new, our heroes boldly enter the bloodied pinnacle with bare steel and steady hearts. 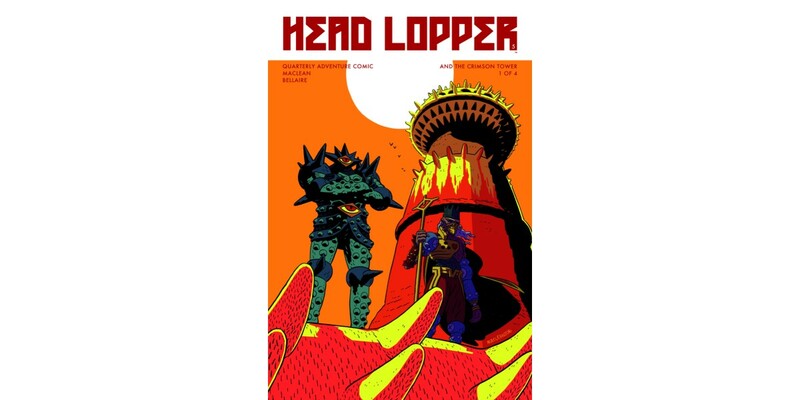 HEAD LOPPER #5, Cover A by MacLean (Diamond code: JAN170690) and Cover B by Tony Sandoval (Diamond code: JAN170691), hits comic book stores Wednesday, March 15th. 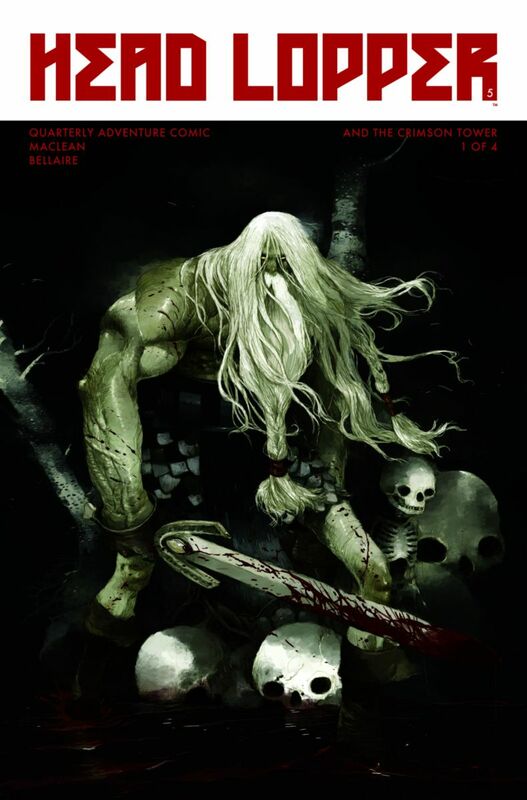 The final order cutoff deadline for comics retailers is Monday, February 20th.